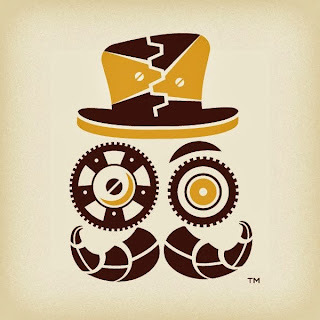 Cité Des Arts and The Lafayette Science Museum announce their joint adventure: The "Steampunk and Maker's Fair", a celebration of the connection between Science and the Arts. The Steampunk movement started as a literary genre that is associated with the industrialization of the late 1800's and the futuristic spirit of Jules Verne. It has expanded into music, costuming, accessories, and invention. Enter the "Maker's", who are both inventors and producers that bring their unique ideas to life for the rest of society. These innovators are the engines that drive a healthy economy. The "marriage" of these two unique groups will showcase Lafayette as an incubator for creative people and inventors, including existing businesses. Begnaud Manufacturing is the Title Sponsor for this event, and Noble Plastics, and William Goode are Major Sponsors. InventureWorks will be organizing "The Vault" Pitch event for UL & SLCC Students of Industrial Design, Architecture, and Engineering during the Fair. The Lousiana Beard and Facial Hair Association will be organizing the Beard and Facial Hair contests. The Festival will feature live performance, including music, contests of all kinds (fashion, literary, beards, etc.) demonstrations, food, and vendors. The Festival will take place at Cite Des Arts, Vine Street, The Lafayette Science Museum, Congress Street, Polk Street, and the Lafayette Public Library. Special performances for "Steampunk after Dark" will be an original musical by Travis Guillory called "The Undertaker and His Wife", and a Special performance of "Boom Boom Burlesque" of Lafayette at Cité Des Arts.